With flights to Melbourne down around the hundred-dollar mark from a variety of airlines, it's the perfect time to pop down for a gastronomic adventure. 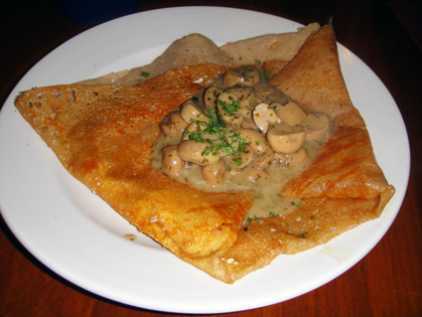 Posted August 3, 2011 by Jackie McMillan & filed under Bar Food, Booze, Chinese, Convenience Food, Eat & Drink, Foodie Diary, French, Spanish, Tapas, Wine. With flights to Melbourne down around the hundred-dollar mark from a variety of airlines, it’s the perfect time to pop down for a gastronomic adventure. Part of the foodie fun in Melbourne is exploring the little lane ways, which are littered with tasty places to eat. Il Solito Posto (www.ilsolitoposto.com.au) is down one such alley. Inside the dimly lit, subterranean space, you’ll find steaming bowls of spaghetti enriched with seafood and set off by simple tomato sauce. Wash them down with a ruby red Te Kairanga Pinot Noir ($52/bottle). Visiting in the depths of a Melbourne winter, my evening entertainment favoured indoor pursuits, like intimate cocktail bars. Hairy Little Sista (230 Little Collins Street) is the place to sink into a comfy brown couch, sip on a cocktail complimented by sharing dishes like the Montadito ($12.50) toasty with morcilla. A few doors up, the older sibling Hairy Canary (212 Little Collins Street) is less atmospheric, but boasts a killer cocktail list. I suggest Skipping After The Moustached Green Fairy ($20) featuring the multilevel palate punches of absinthe, lemon peel, coffee beans and jalapeno! Not quite as warm and inviting, but worth the trip down an excellent alleyway of street art, is The Croft Institute (www.thecroftinstitute.net). Alongside some of the best tunes I heard all weekend, check it out for the groovy science lab theme, complete with a handy examination table in the Department of Female Hygiene upstairs. Drink the Pear Cider Crumble ($17). By day, wandering the diverse architecture of Melbourne is also thirst inducing. Save your liver by punctuating your tourism with coffee breaks – but bear in mind this city is serious about coffee! Social Roasting Company (www.socialroasting.com.au) is a funky yet comfy space, filled with people who not only love the bean, they also know a lot about it! Besides the good karma from drinking Australia’s first not-for-profit roasted coffee made by gun baristas, they also do a ripper Tasmanian Spreyton Fresh apple juice. Buoyed by surviving that, head down a few more blocks (making sure to detour down Union Lane for more excellent street art) to Sensory Lab (www.socialroasting.com.au). If you thought the last place took their coffee seriously, here you break the Ten Commandments if you ask for sugar (don’t contemplate milk)! Choose coffee from whatever god-forsaken corner of the planet you like, made by syphon or slayer. I tried Columbian ($8) and the Rolls Royce Panamanian ($10) in the syphon – it’s pretty much coffee brewed like tea. 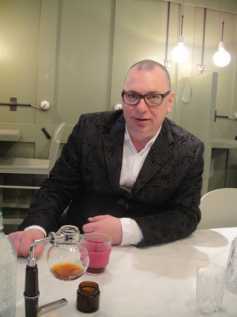 Frankly whilst I live to look as serious about coffee as these people, when push comes to shove, I like milk and sugar. Amped on beans, and so you can say you did some non-food-related tourism, check out the No Vacancy Project Space (www.no-vacancy.com.au) for emerging artists and the excellent collection of design books at the NGV Shop (www.ngv.vic.gov.au/visit/ngv-shop) in The Atrium at Federation Square. Directly across the road you can check out even more awesome graffiti, stencil art and pithy signage in Hosier Lane while you wait for a table at MoVida Bar de Tapas Y Vino (www.movida.com.au). Even in Sydney circles, this place is so well known and well reviewed, I probably don’t need to say any more. Except perhaps that I loved it from the first slurp of Mount Zero Olive Oil to the last swallow of 2010 Bindi ‘Composition’ Pinot Noir ($21/glass). The Croqueta ($4.00) and the fat, char-grilled octopus with chickpeas and chorizo called Pulpo ($18.00) were my highlights. You can try out modern Maltese at Maha Bar & Grill (www.mahabg.com.au), part of the The Press Club Group stable owned by Masterchef judge George Calombaris. 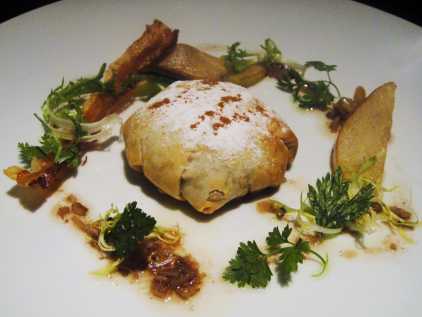 Dishes like Duck Bastilla ($30) are certainly good, but it’s a pricy entrée if you ask a humble visitor like me. Frankly I was more excited by Flower Drum’s new entry, Chin Chin (www.chinchinrestaurant.com.au). 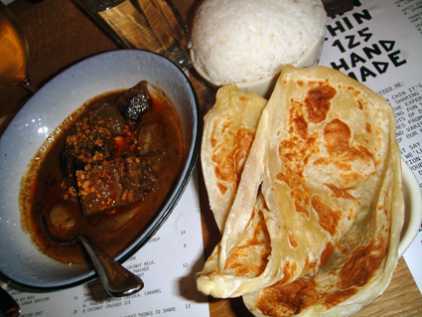 The Roti ($6) are the best I’ve had in Australia, and don’t even get me started about the Massaman Curry of Coconut Braised Hopkins River Beef Brisket ($19)! 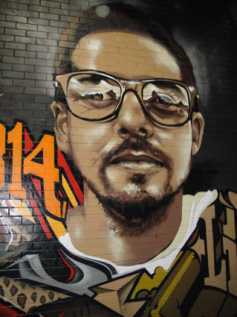 It is however currently Melbourne’s it-spot, so don’t expect it to be easy to snaffle a table. If you luck out, go check out the all-girl kitchen crew at Huxtable (www.huxtablerestaurant.com.au) over in Fitzroy. They’ve all done time in produce-driven Wellington, and geez it shows in the Kingfish Sashimi with Apple, Horseradish and Dill ($21). Also over that way is a great French creperie called Breizoz (www.breizoz.com.au) doing gluten-free (think buckwheat) crepes served with alcoholic ciders from Brittany. 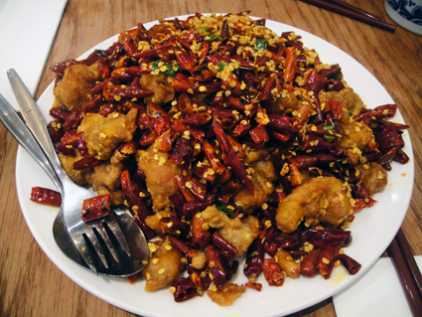 Or brave the ring of fire at Spicy Fish (209 Little Bourke Street) who have the best darn Kung Po Chicken ($16.80) I’ve tried. For a more accessible down-market bite, head in for some late-night poutine at Lord of the Fries (www.lordofthefries.com.au). 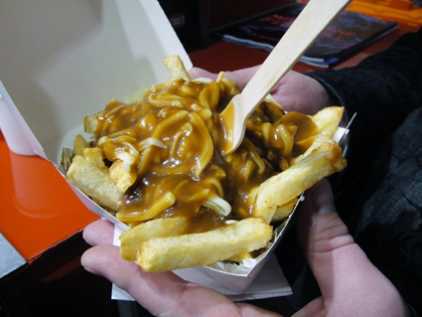 If you haven’t been to Canada, that’s chips with cheese and gravy, and they’re hella good! There’s also the neighbouring Spanish Doughnuts (www.spanishdoughnuts.com.au) who bastardise churros every which way. Okay, they’re not exceptional, but when drunk-food calls, I listen. Finally if you need to walk off the effects of all this eating, what better reason to walk than to a shoe store for a spot of retail therapy? Sole Devotion (www.soledevotion.com.au) is the sole Aussie importer of the uber-cool John Fluevog shoes. That said, if you have a second stomach for desserts, the cakes in the window of the Hopetoun Tea Rooms (www.hopetountearooms.com.au) had me cursing my too-full stomach. I guess there’s always my next bit of southern exposure!